Online sales are growing and along with them the need for contractors to quickly find what they want. 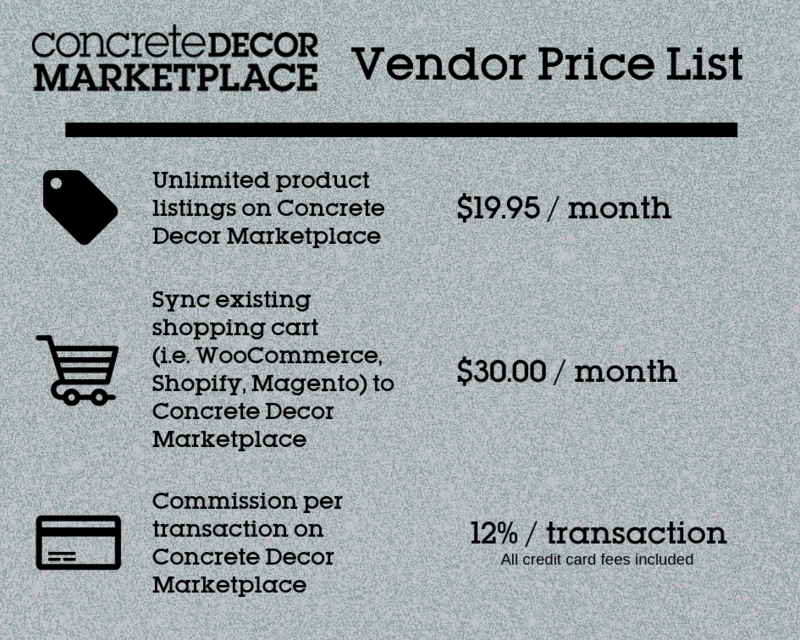 The Marketplace aligns your products with Concrete Decor magazine’s trusted online content that provides pertinent information and direct access to the widest selection of products, tooling and equipment. Subscribe to our service to list your products here and start growing your online sales today.